Tablet-News.net / Android / AT&T Acer Iconia Tab A501 3G or 4G? The Acer Iconia Tab is out for a while now. 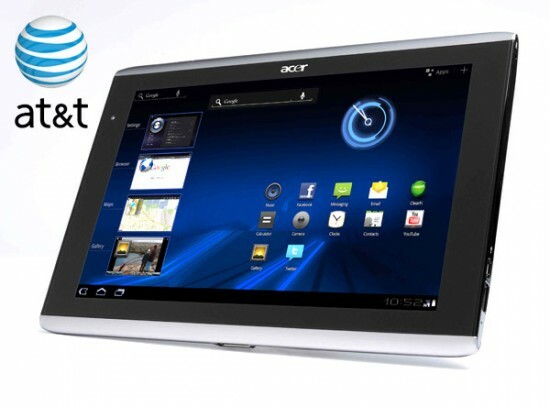 A 4G AT&T model (Acer Iconia Tab A501 4G) was officially announced back in march. But now it seems to be a 3G version of the A501 will either completely replace the 4G model or will head to AT&T first. It’s also said to be a 64GB version. So another Acer AT&T bound model is about to hit the streets. The difference between the Acer Iconia Tab A501 (3G or 4G) and Acer Iconia Tab A500 is that the A501 has cellular capability and has either 3G or 4G abilities other than that they’re pretty much identical. We’re expecting AT&T to make an official announcement soon.